Caress Sensitive toothbrushes are unlike any sensitive or soft toothbrush on the market. Caress cleans your teeth and gums with a unique ultra soft brushing experience like no other! With its innovative, patented technology, Caress features super slim polyester bristles that penetrate further between the teeth to remove plaque and debris. The Caress Sensitive Toothbrush bristles are Ultra Soft and feel extremely gentle to enamel and gums, reducing the likelihood of abrasion and recession while simultaneously allowing gentle gum stimulation. Why Ultra Soft Patented Bristling Technology? We don't want you to harm your tooth enamel or gums. Caress toothbrushes offers a gentle but effective brushing experience. Hard brushes can have an abrasive effect on enamel which protects teeth from dental disease. They can also damage the gums, promoting bleeding and opening the way for bacterial penetration, resulting in tooth decay and gum disease. But does Caress still clean well? Yes - Caress Sensitive Toothbrushes gently penetrates the areas between teeth and gums removing plaque and food particles, while gently massaging gums without pain and bleeding. It helps give you cleaner teeth, healthier gums and saves tooth enamel from abrasion. Caress Sensitive Toothbrushesalso help prevent cavities, provides overall oral hygiene and fresher breath. The Caress Toothbrush is great for all ages, including those undergoing orthodontic treatment, suffering from sensitivity or gum recession after consulting from your dentist. We have 4 types of Caress Sensitive Toothbrushes to meet your specific need - Enamel Care, Gum Care, Whitening and Ortho. Circular shapped bristles designed to remove stains for a brighter, whiter smile. The patented ultra soft bristles technology provides the gentle loving ultra soft feel when brushing your teeth. 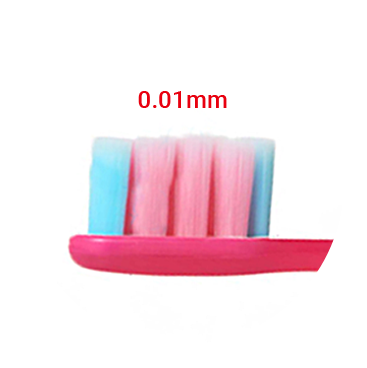 It prevents the growth of germs between the filaments and on the toothbrush head. > The PTB filament is strong and elastic, so the plaque on the tooth surface can be easily removed. > It helps to clean the gap between your teeth and gums which is the main cause of dental diseases. Since the filament are soft and gentle, less force is needed when brushing teeth. 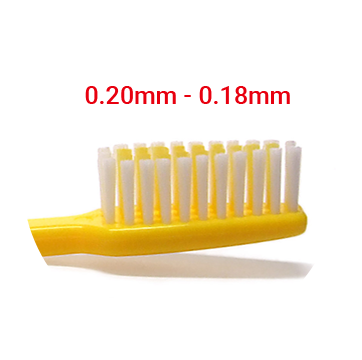 Caress Toothbrush with its ultra fine filament is the optimum choice for someone who brushes their teeth several times a day.